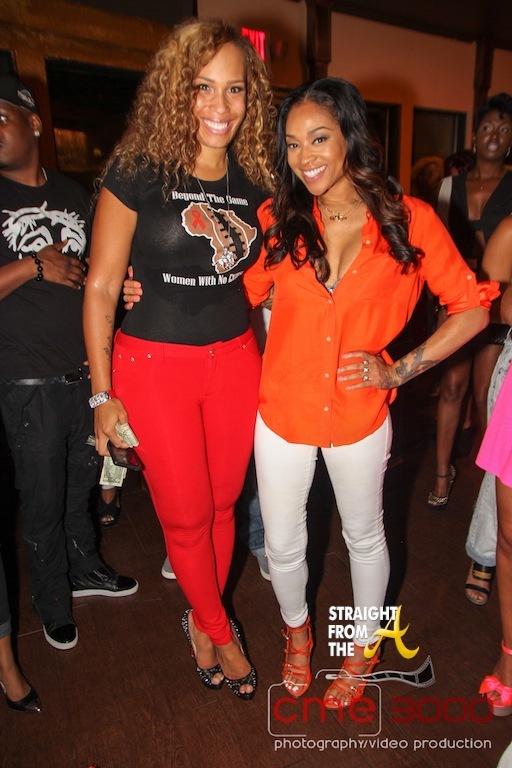 Chanita Foster poses above with Love & Hip Hop Atlanta‘s Mimi Faust at the ‘1 Voice 1 Power’ celebration last night (August 5, 2013). Foster’s ‘Beyond the Game’ foundation partnered with producer Jazze Pha’s ‘Shonuff Digital Media’ for the ‘1 Voice 1 Power’ event which was created after the controversial outcome of the Trayvon Martin case. The group held it’s inaugural event at Infusion Breakfast Bistro/Bar & Grille in Atlanta, where donations where accepted for Beyond the Game. Canned goods were also donated to Feed the Homeless, and monetary donations were given to Adamsville Youth Program. Attendees included Quad Webb-Lunceford (Married to Medicine), Kandi Burruss, Todd Tucker & Peter Thomas (Real Housewives of Atlanta), DeVyne Stephens, Sean Garrett & more, who all came out in support of the event. 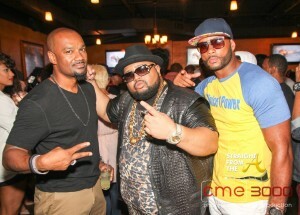 During the event, Jazze Pha premiered a video from his group “Thee Unknowns,” whose members include Jevon “V12′ Sims (who will be featured in Bravo’s upcoming reality show ‘The New Atlanta’ this fall) and Gasner “GazMoney” Allen, for a song entitled “HELP ME” featuring Akon, which reportedly tackles the issues of the world today including HIV/AIDS, Homelessness, Poverty and racial issues. 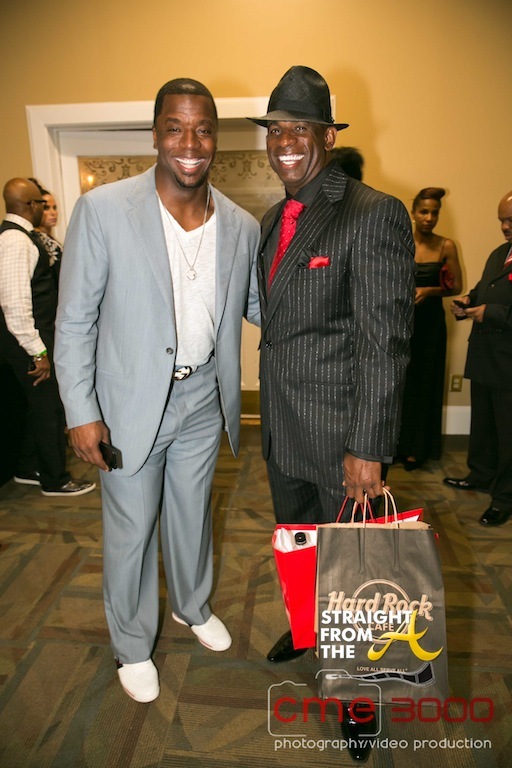 Pro football hall of famer Deion ‘Prime Time’ Sanders and his fellow footballer buddy Kordell Stewart smile proudly as Deion arrived for the 2013 ‘Prime Time’ Black & Red Gala last night (July 27, 2013). 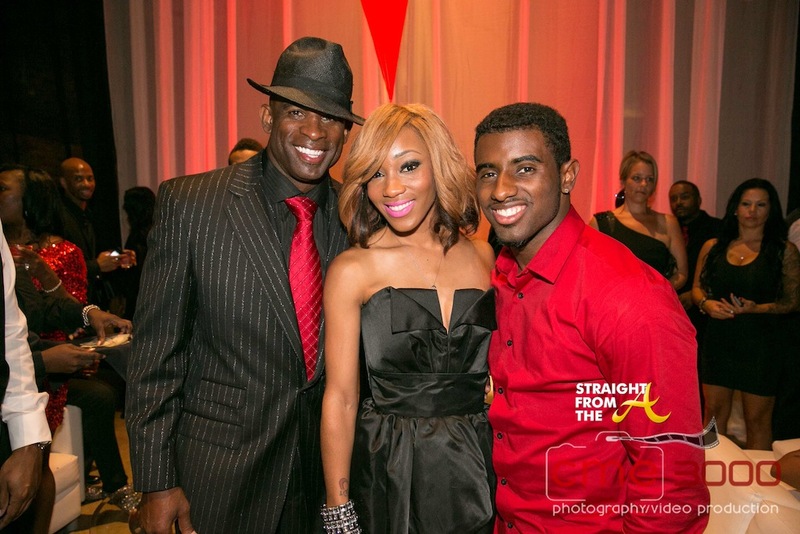 It was almost ‘all Black & Red’ everything as many Atlanta’s ‘who’s who’ came out for Deion’s annual celebration, which was held at the historic Georgia Freight Depot in downtown Atlanta. The event was held during Sanders’ 4th Annual Prime Time Youth Sports Weekend, and Sanders celebrated the successful weekend with a few of his celebrity friends and NFL/MLB counterparts, along with a few ‘sports moms’ who joined in on the celebration of youth sports, community and all things Atlanta. Attendees included: Deion’s kids (Deion, Jr and Deiondra), Kordell Stewart, Dondria, Teddy Riley, Nicci Gilbert, Gregory & Quad Lunceford (Married to Medicine), designer Reco Chapple, Towanda Braxton, Chanita Foster, Sabrina Rowe & Sharlinda Parker (Big Rich Atlanta) and more. 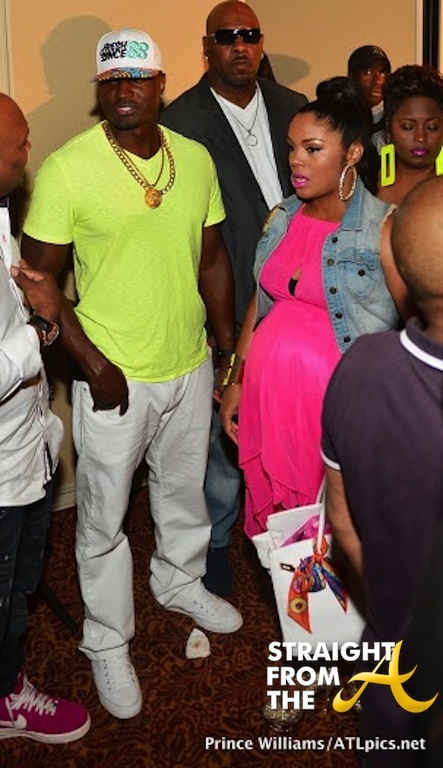 Deion poses with singer Dondra and his son Deion Sanders, Jr.
Kirk Frost and his very pregnant rap star wife Rasheeda of Love & Hip Hop Atlanta attended Hip-Hip Weekly (HHW)’s Style Experience last night in Atlanta (July 14, 2013). The cute couple, who are “rumored” to be divorcing (insert side-eye) were hosts of the fashionable evening alongside fellow reality stars Cynthia Bailey and her hubby Peter Thomas of Bravo’s The Real Housewives of Atlanta. The HHW Style Experience invited a host of fashion industry insiders including buyers, vendors, celebrities, tastemakers and more to give an exclusive sneak peek into next season’s streetwear looks. Other notable guests in attendance included: Quad Webb (Married to Medicine), Erica Dixon, Che Mack and Shay Buckeey Johnson (Love and Hip Hop Atlanta); Q. Parker (formerly of 112), Sharlinda Rowe, Sabrina Parker-Rowe and Kahdijah Rowe (Big Rich Atlanta), producer Don Vito (The Kandi Factory), comedian Rodney Perry (The Mo’Nique Show), actors Jamal Woolard (Notorious), Christopher Williams (New Jack City), Demetria McKinney (Tyler Perry’s House of Payne).